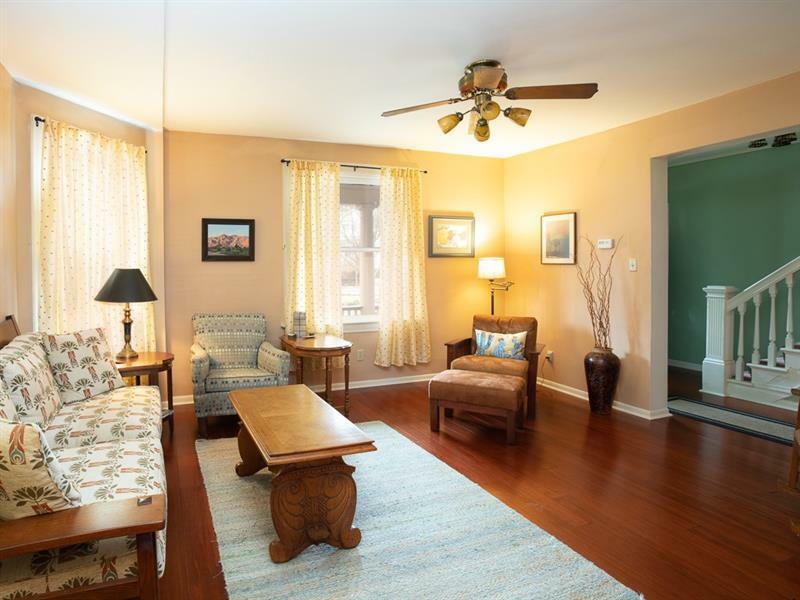 If you love century old homes and want to be in a walking community this Dutch Colonial in the Village of Sewickley could be the perfect house for you! 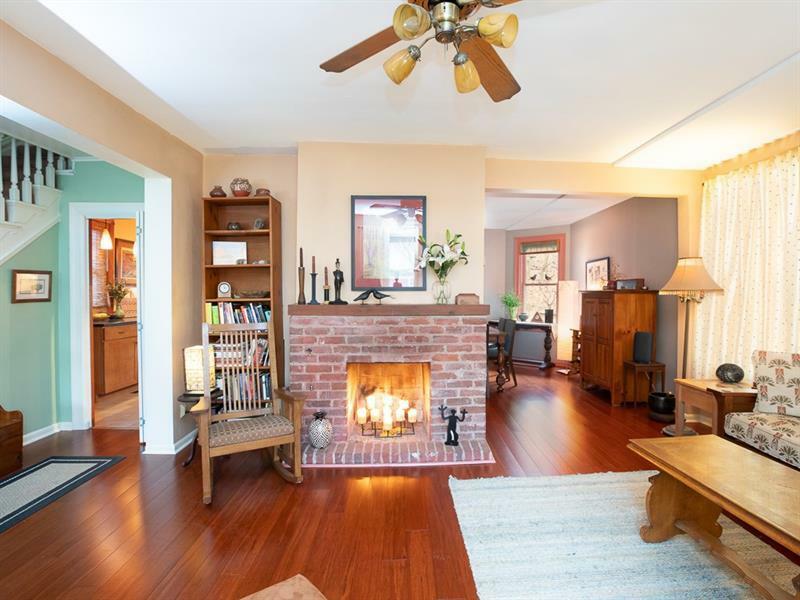 It's been lovingly cared for and tastefully updated, with beautiful bamboo hardwood floors in a cherry finish, a cozy fireplace in the living room, and a dining room large enough for entertaining. The remodeled kitchen features shaker cabinets, Corian countertops, and upscale appliances including a gas range with convection oven. 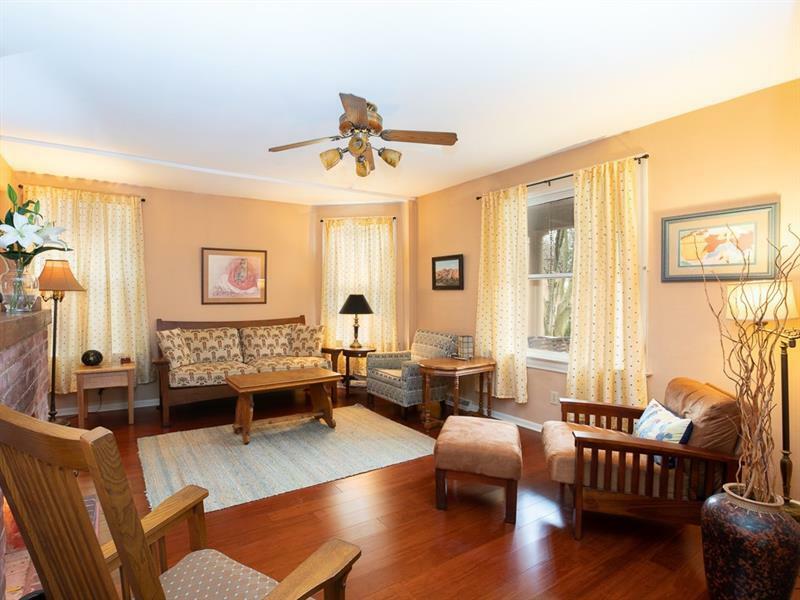 There are two bedrooms on the second floor, including the master bedroom, which is currently set up as a den, and two more good-sized bedrooms on the third floor. 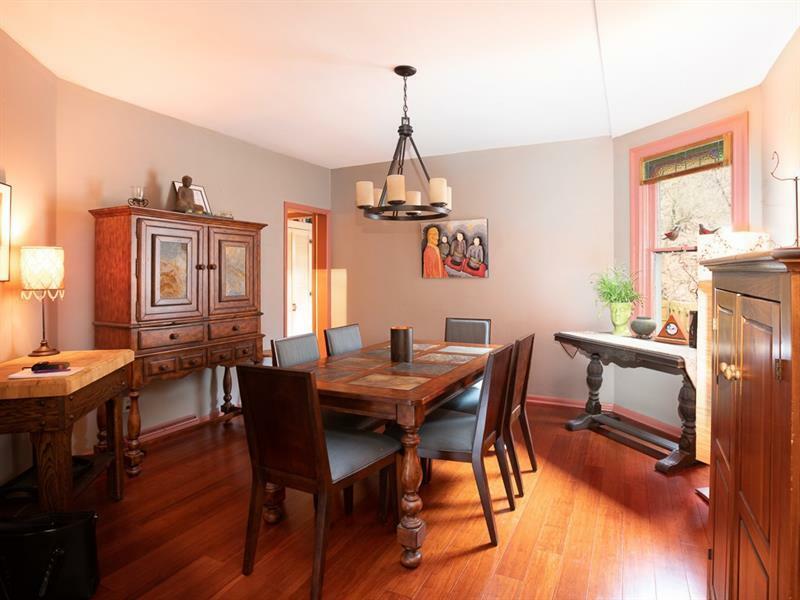 The home has a nice, fenced backyard, and backs up to a hillside, so you feel as if you are one with nature, while actually being in the Village. On-street parking is easy to find right out front on Cochran Street.